It's mood boarding time! Here is a mash up of pics/inspiration I have collected from the net-o-sphere. 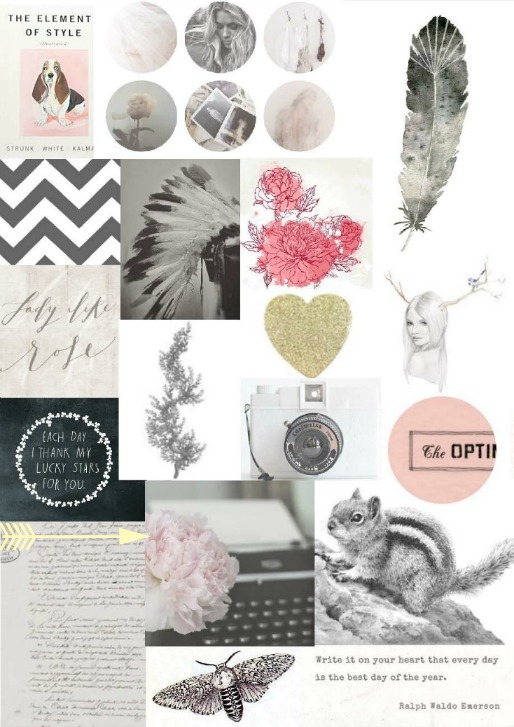 I adore the use of greys and pastel so I wanted to create a board reflecting that tone. Hope you’re all having a very happy Friday! !